Is there a ninth major planet lurking in the outer reaches of our Solar System? This question has become one of the most hotly debated in planetary science. The idea of a large, unknown Planet Nine residing so far from the Sun that it hasn’t yet been discovered is certainly tantalizing. So far, there’ve been hints as to its existence, but no confirmation yet. We might be getting closer to finding it, however. 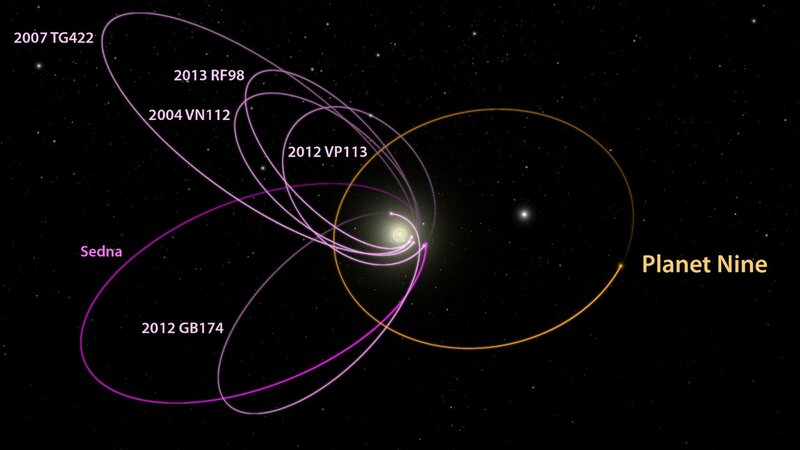 Last week, an international team of researchers presented additional evidence, detailed in a new study, suggesting that Planet Nine is influencing the behavior of an oddball object – 2015 BP519 (aka Caju) – in the outer Solar System. Astronomers at Caltech had previously calculated the likely existence of a large ninth planet (sorry, Pluto) in the outer fringes of the solar system, based on the orbits of smaller icy objects. Their orbits were being perturbed by the gravitational influence of… something. According to the astronomers’ calculations, the as-yet-undiscovered planet should be about four times the size of Earth and 10 times its mass. 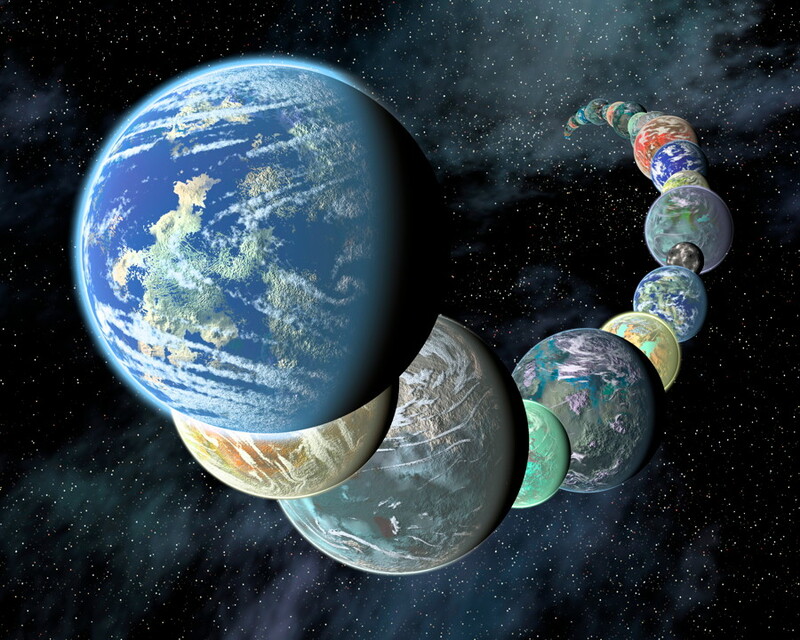 That would make it similar to super-Earth exoplanets found orbiting other stars. And that would be interesting, since many super-Earths have now been discovered, although there were none to be seen in our own solar system. But maybe there is one after all, so far from the Sun that it has remained hidden. 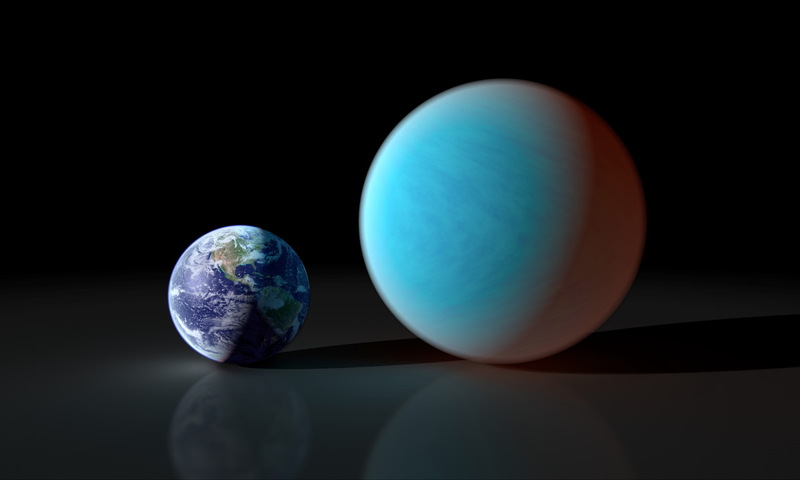 Such a discovery would be very exciting, since super-Earths are larger than Earth but smaller than Uranus or Neptune, different from anything else in our solar system. If a large Planet Nine is there, it is very far away, much farther than Pluto. If it exists, it likely takes about 10,000 to 20,000 years to complete one orbit around the Sun. 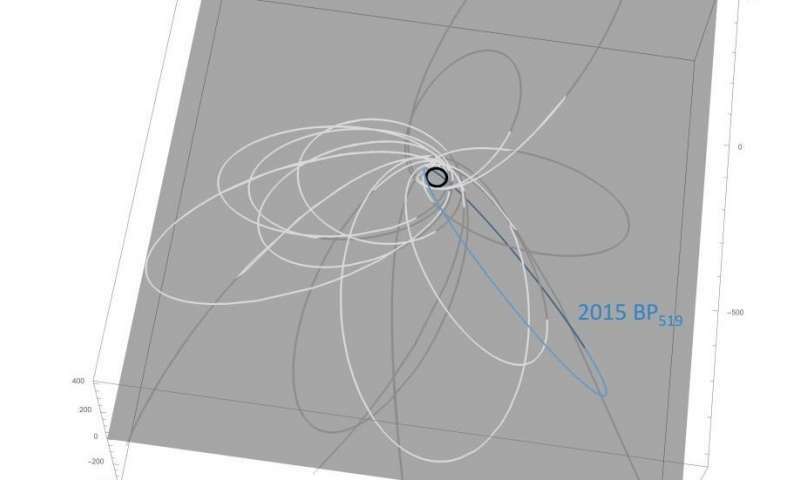 Astronomers first discovered 2015 BP519 (Caju) three years ago. It is a trans-Neptunian object (TNO), which, generally speaking, are minor planets orbiting the sun beyond the orbit of Neptune. Caju is one of only a dozen or so known objects that are categorized as extreme trans-Neptunian objects (ETNOs). Such objects have a semi-major axis greater than 150 astronomical units (AU) and a perihelion – closest point to the sun – greater than 30 AU. Caju’s estimated diameter is 400-700 kilometres (248-434 miles), making it a potential dwarf planet. So it is a very interesting object. What’s more, since its discovery, further analysis has shown that Caju has an unusual orbit, which lies almost perpendicular to all the known planets. In fact, Caju has the highest inclination of any TNO discovered so far. While Planet Nine still hasn’t been confirmed, the evidence is growing that just maybe, an as-yet-unseen large planet does indeed prowl the desolate outer fringes of our Solar System. This article was first published on EarthSky.